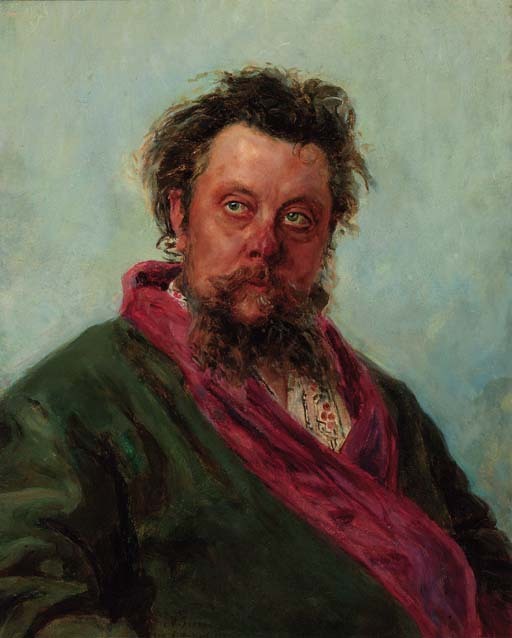 Repin painted his famous portrait of M.P. Musorgskii (1839-1881) in St. Petersburg shortly before the composer's death. The original is now in the State Tret'iakov Gallery in Moscow.